Choose the best preparation for CAT! Click below to know more! Direction for question 1 to 10: Answer the questions based on the following information. In the following questions, a set of four words is given. Three of the words are related in some way, the remaining word is not related to the rest. You have to pick the word which does not fit in the relation and mark that as your answer. Direction for questions 11 to 15: Answer the questions based on the following information. In these questions, each sentence has been divided into four parts, marked a, b, c and d. Identify that part of the sentence which needs to be changed for the sentence to be grammatically correct. (d) as well as his dress. (d) which is really beneficial. (d) assure a successful cure. (d) the prime suspect in a murder case. Direction for questions 16 to 20: Answer the questions based on the following information. In each of the following questions, a related pair of words or phrases is followed by five lettered pairs of words or phrases. Select the lettered pair that best expresses a relationship similar to the one expressed in the original pair. Direction for questions 21 to 25: Answer the questions based on the following information. In each of these questions, a related pair of words or phrases is followed by a pair of words or phrases. Select the lettered pair that best expresses a relationship that is least similar to the one expressed in the original pair. Direction for questions 26 to 30: Answer the questions based on the following information. Each of the questions consists of four sentences marked A, B, C and D. You are required to arrange the sentences in a proper sequence so as to make a coherent paragraph. A. Where there is division there must be conflict, not only division between man and woman, but also division on the basis of race, religion and language. B. We said the present condition of racial divisions, linguistic divisions has brought out so many wars. C. Also we went into the question as to why does this conflict between man and man exist. D. May we continue with what we were discussing last evening? A. No other documents give us so intimate a sense of the tone and temper of the first generation poets. B. Part of the interest of the journal is course historical. C. And the clues to Wordsworth’s creative processes which the journal affords are of decisive significance. D. Not even in their own letters do Wordsworth and Coleridge stand so present before us than they do through the references in the journal. A. These high plans died, slowly but definitively, and were replaced by the dream of a huge work on philosophy. B. In doing whatever little he could of the new plan, the poet managed to write speculations on theology, and political theory. C. The poet’s huge ambitions included writing a philosophic epic on the origin of evil. D. However, not much was done in this regard either, with only fragments being written. A. We can never leave off wondering how that which has ever been should cease to be. B. As we advance in life, we acquire a keener sense of the value of time. C. Nothing else, indeed, seems to be of any consequence; and we become misers in this sense. D. We try to arrest its few last tottering steps, and to make it linger on the brink of the grave. A. There is no complete knowledge about anything. B. Our thinking is the outcome of knowledge, and knowledge is always limited. C. Knowledge always goes hand in hand with ignorance. D. Therefore, our thinking which is born out of knowledge, is always limited under all circumstances. Direction for questions 31 to 40: Arrange sentences A, B, C and D between sentences 1 and 6, so as to form a logical sequence of six sentences. 31. 1. Currency movements can have a dramatic impact on equity returns for foreign investors. I. This is not surprising as many developing economies try to peg their exchange rates to the US dollar or to a basket of currencies. II. Many developing economies manage to keep exchange rate volatility lower than that in the industrial economies. III. India has also gone in for the full float on the current account and abolished the managed exchange rate. IV. Dramatic exceptions are Argentina, Brazil and Nigeria. 6. Another emerging market specific risk is liquidity risk. 32. 1. All human beings are aware of the existence of a power greater than that of the mortals — the name given to such a power by individuals is an outcome of birth, education and choice. I. This power provides an anchor in times of adversity, difficulty and trouble. II. Industrial organisations also contribute to the veneration of this power by participating in activities such as religious ceremonies and festivities organised by the employees. III. Their other philanthropic contributions include the construction and maintenance of religious places such as temples or gurdwaras. IV. Logically, therefore, such a power should be remembered in good times also. 6. The top management/managers should participate in all such events, irrespective of their personal choice. 33. 1. Total forgiveness for a mistake generates a sense of complacency towards target achievement among the employees. I. In such a situation the work ethos gets distorted and individuals get a feeling that they can get away with any lapse. II. The feeling that they develop is: whether I produce results or not, the management will not punish me or does not have the guts to punish me. III. Also, excess laxity damages management credibility, because for a long time, the management has maintained that dysfunctional behaviour will result in punishment, and when something goes wrong, it fails to take specific punitive action. IV. The severity of the punishment may be reduced, by modifying it, but some action must be taken against the guilty so as to serve as a reminder for all others in the organization. 6. Moreover, it helps establish the management’s image of being firm, fair and yet human. 34. 1. But the vessel kept going away. I. He looked anxiously around. II. There was nothing to see but the water and empty sky. III. He could now barely see her funnel and masts when heaved up on a high wave. IV. He did not know for what. 6. A breaking wave slapped him in the face, choking him. 35. 1. Managers must lead by example; they should not be averse to giving a hand in manual work; if required. I. They should also update their competence to guide their subordinates; this would be possible only if they keep in regular touch with new processes, machines, instruments, gauges, systems and gadgets. II. Work must be allocated to different groups and team members in clear, specific terms. III. Too much of wall-building is detrimental to the exercise of the ‘personal charisma’ of the leader whose presence should not be felt only through notices, circulars or memos, but by being seen physically. IV. Simple, clean living among one’s people should be insisted upon. 6. This would mean the maintaining of an updated organization chart; laying down job descriptions; identifying key result areas; setting personal targets; and above all, monitoring of performance, to meet organizational goals. 36. 1. The top management should perceive the true worth of people and only then make friends. I. Such ‘true friends’ are very few and very rare. II. Factors such as affluence, riches, outward sophistication and conceptual abilities are not prerequisites for genuine friendship. III. Such people must be respected and kept close to the heart. IV. Business realities call for developing a large circle of acquaintances and contacts; however, all of them will be motivated by their own self-interest and it would be wrong to treat them as genuine friends. 6. There is always a need for real friends to whom one can turn for balanced, unselfish advice, more so when one is caught in a dilemma. 37. 1. Managers, especially the successful ones, should guard against ascribing to themselves qualities and attributes which they may not have, or may have in a measure much less than what they think they have! I. External appearances can be deceptive. II. To initiate action, without being in possession of full facts, can lead to disastrous results. III. Also, one should develop confidants who can be used as sounding boards, in order to check one’s own thinking against that of the others. IV. It is also useful to be receptive to feedback about oneself so that a real understanding of the ‘self’ exists. 6. A false perception can be like wearing coloured glasses — all facts get tainted by colour of the glass and the mind interprets them wrongly to fit into the perception. 38. 1. Conflicting demands for resources are always voiced by different functions/departments in an organization. I. Every manager examines the task entrusted to him and evaluates the resources required. II. Availability of resources in full measure makes task achievement easy, because it reduces the effort needed to somewhat make-do. III. A safety cushion is built into demand for resources, to offset the adverse impact of any cut imposed by the seniors. IV. This aspect needs to be understood as a reality. 6. Dynamic, energetic, growth-oriented and wise managements are always confronted with the inadequacy of resources with respect to one of the four Ms (men, machines, money and materials) and the two Ts (time and technology). 39. 1. Despite the passage of time, a large number of conflicts continue to remain alive, because the wronged parties, in reality or in imagination, wish to take revenge upon each other, thus creating a vicious circle. I. At times, managers are called upon to take ruthless decisions in the long-term interests of the organization. II. People hurt others, at times knowingly, to teach them a lesson and, at other times, because they lack correct understanding of the other person’s stand. III. The delegation of any power, to any person, is never absolute. IV. Every ruthless decision will be accepted easily if the situation at the moment of committing the act is objectively analysed, shared openly and discussed rationally. 6. Power is misused; its effects can last only for a while, since employees are bound to confront it some day, more so, the talented ones. 40. 1. Managers need to differentiate among those who commit an error once, those who are repetitively errant but can be corrected, and those who are basically wicked. I. The persons in this category will resort to sweet-talk and make all sorts of promises on being caught, but, at the first opportunity will revert to their bad ways. II. Managers must take ruthless action against the basically wicked and ensure their separation from the organization at the earliest. III. The first category needs to be corrected softly and duly counselled; the second category should be dealt with firmly and duly counselled till they realize the danger of persisting with their errant behaviour. IV. It is the last category of whom the managers must be most wary. 6. The punishment must be fair and based on the philosophy of giving all the possible opportunities and help prior to taking ruthless action. Direction for questions 41 to 45: Each of the questions contains six statements followed by four sets of combinations of three. You have to choose that set in which the statements are logically related. Direction for questions 46 to 50: This section contains statements followed by questions based on the statements. Read the statements and select the best option as the answer. 46. Unless you decide your whole life to it, you will never learn to speak the language of another country to perfection; you will never know its people and its literature with complete intimacy. Which of the following is likely to undermine the above argument? (a) I can speak 10 foreign languages already. (b) I do not travel to foreign countries. (c) I am happy with the languages I know and do not need to learn any other language. (d) I should spend time to understand my own people and literature first, only then can I appreciate other languages and cultures. 47. The writer can only be fertile if he renews himself and he can only renew himself, if his soul is constantly enriched by fresh experience. Which of the following is most likely to support the above thought? (a) Only out of fresh experience can the writer get germs for new writing. (b) The writer can meet new people. (c) The writer must see new places. 48. But because the idea of private property has been permitted to override with its selfishness, the common good of humanity it does not follow that there are not limits within which that idea can function for the general convenience and advantage. Which of the following is most likely to weaken the argument? (a) All the people of the society should progress at an equitable rate and there should be no disparities and private property does bring about a tremendous disparity. (b) One should not strive for the common good of humanity at all, instead one should be concerned with maximising one’s own wealth. (c) One should learn from the experiences of former communist nations and should not repeat his mistakes at all. (d) Even prosperous capitalist countries like the USA have their share of social problems. 49. Now the audience is a very curious animal. It is shrewd rather than intelligent. Its mental capacity is less than that of its most intellectual members. If these were graded from A to Z, decreasing with succeeding letters to the zero of the hysterical shop-girl, I should say its mental capacity would come around about the letter O. (a) some members in the audience are more intelligent than any of its other members. (b) the net intelligence of the audience is a little less than average. 50. I have been studying it, consciously and subconsciously, for 40 years and I still find men unaccountable; people I know intimately can surprise me by some action of theirs which I never thought them capable of or by the discovery of some trait which exhibit a side of themselves that I never even suspected. (a) men are inconsistent and therefore one should not be confident even about one’s closest friends. (b) men are unpredictable, one can never tell what they will do next; hence, one should be very careful in one’s dealings. (c) no matter how closely you know somebody there still exists an unknown facet of his personality. Direction for questions 51 to 53: Answer these questions independently. Direction for questions 54 to 57: Answer the questions based on the following information. Four sisters — Suvarna, Tara, Uma and Vibha are playing a game such that the loser doubles the money of each of the other players from her share. They played four games and each sister lost one game in alphabetical order. At the end of fourth game, each sister had Rs. 32. 54. How many rupees did Suvarna start with? 55. Who started with the lowest amount? 56. Who started with the highest amount? 57. What was the amount with Uma at the end of the second round? Direction for questions 58 to 87: Answer the questions independently. 58. 72 hens cost Rs. 96.7 . Then what does each hen cost, where two digits in place of ‘ ’ are not visible or are written in illegible hand? 61. 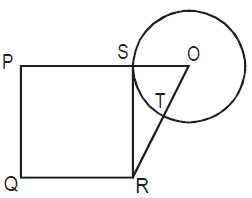 Which one of the following cannot be the ratio of angles in a right-angled triangle? 62. For the product n(n + 1)(2n + 1), n € N, which one of the following is not necessarily true? 64. Boxes numbered 1, 2, 3, 4 and 5 are kept in a row, and they which are to be filled with either a red or a blue ball, such that no two adjacent boxes can be filled with blue balls. Then how many different arrangements are possible, given that all balls of a given colour are exactly identical in all respects? 65. AB ⊥ BC, BD ⊥ AC and CE bisects ∠C,∠A = 30°. Then what is ∠CED? 66. A man invests Rs. 3,000 at the rate of 5% per annum. How much more should he invest at the rate of 8%, so that he can earn a total of 6% per annum? 69. In a race of 200 m run, A beats S by 20 m and N by 40 m. If S and N are running a race of 100 m with exactly same speed as before, then by how many metres will S beat N? 71. A group of men decided to do a job in 8 days. But since 10 men dropped out every day, the job got completed at the end of the 12th day. How many men were there at the beginning? 72. If a 4 digit number is formed with digits 1, 2, 3 and 5. What is the probability that the number is divisible by 25, if repetition of digits is not allowed? 73. Two typists undertake to do a job. The second typist begins working one hour after the first. Three hours after the first typist has begun working, there is still 9/20 of the work to be done. When the assignment is completed, it turns out that each typist has done half the work. How many hours would it take each one to do the whole job individually ? 74. I live X floors above the ground floor of a high-rise building. It takes me 30 s per floor to walk down the steps and 2 s per floor to ride the lift. What is X, if the time taken to walk down the steps to the ground floor is the same as to wait for the lift for 7 min and then ride down? 78. 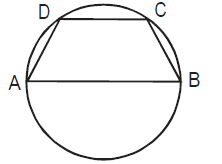 In the given figure, AB is diameter of the circle and points C and D are on the circumference such that ∠CAD = 30° and ∠CBA = 70°. What is the measure of ∠ACD? 80. A stockist wants to make some profit by selling sugar. He contemplates about various methods . Which of the following would maximise his profit? I. Sell sugar at 10% profit. II. Use 900 g of weight instead of 1 kg. III. Mix 10% impurities in sugar and selling sugar at cost price. IV. Increase the price by 5% and reduce weights by 5%. 81. A man can walk up a moving ‘up’ escalator in 30 s. The same man can walk down this moving ‘up’ escalator in 90 s. Assume that his walking speed is same upwards and downwards. How much time will he take to walk up the escalator, when it is not moving? 83. Three bells chime at an interval of 18 min, 24 min and 32 min. At a certain time they begin to chime together. What length of time will elapse before they chime together again? 84. What is the value of m which satisfies 3m2 – 21m + 30 < 0? 85. The rate of inflation was 1000%. Then what will be the cost of an article, which costs 6 units of currency now, 2 years from now? 88. Find the value of me(a + mo(le(a, b)); mo(a + me(mo(a), mo(b))), at a = –2 and b = –3. 89. Which of the following must always be correct for a, b > 0? Direction for questions 92 to 100: Each of these questions is followed by two statements, I and II. Mark the answer as. (a) if the question can be answered with the help of statement I alone. (b) if the question can be answered with the help of statement II, alone. (c) if both statement I and statement II are needed to answer the question. (d) if the question cannot be answered even with the help of both the statements. 92. If x, y and z are real numbers, is z – x even or odd? II. xy + yz + zx is even. 93. What is the value of x, if x and y are consecutive positive even integers? 94. What is the profit percentage? I. The cost price is 80% of the selling price. II. The profit is Rs. 50. 95. What is the area of the triangle? I. Two sides are 41 cm each. II. The altitude to the third side is 9 cm long. 96. What is the price of bananas? I. With Rs. 84, I can buy 14 bananas and 35 oranges. II. If price of bananas is reduced by 50%, then we can buy 48 bananas in Rs. 12. 97. What is the first term of an arithmetic progression of positive integers? I. Sum of the squares of the first and the second term is 116. II. The fifth term is divisible by 7. 98. What is the length of rectangle ABCD? I. Area of the rectangle is 48 square units. II. Length of the diagonal is 10 units. 99. What is the number x? I. The LCM of x and 18 is 36. II. The HCF of x and 18 is 2. 100. Is x + y – z + t even? I. x + y + t is even. II. t and z are odd. Direction for questions 101 to 150: This section contains passages followed by questions based upon the content of the passages. Read the passages and select the best option for the answers. The Republican Party has lost its mind. To win elections, a party obviously needs votes and constituencies. However first, it needs an idea. In 1994-95, the Republican Party had after a long struggle advanced a coherent, compelling set of political ideas expressed in a specific legislative agenda. The political story of 1996 is that this same party, within the space of six weeks, became totally, shockingly intellectually deranged. Think back. The singular achievement of the House Speaker Newt Gingrich’s 1994 revolution was that it swept into power united behind one comprehensive ideological goal: dismantling the welfare state. Just about anything in the contract with America and the legislative agenda of the 104th Congress is a mere subheading: welfare reform, tax cuts, entitlement reform, returning power to the states, the balanced budget (a supremely powerful means for keeping the growth of government in check). The central Republican idea was that the individual, the family, the church, the schools — civil society — were being systematically usurped and strangled by the federal behemoth Republicans who were riding into Washington to slay it. With this idea they met Clinton head-on in late 1995. And although they were tactically defeated — the government shutdown proved a disaster for Republicans — they won philosophically. Clinton conceded all their principles. He finally embraced their seven year balanced budget. Then, in a State of the Union speech that might have been delivered by a moderate Republican, he declared, “The era of Big Government is over,” the dominant theme of the Gingrich Revolution. It seems so long ago. Because then, astonishingly, on the very morrow of their philosophical victory, just as the Republicans prepared to carry these ideas into battle in November, came cannon fire from the rear. The first Republican renegade to cry ‘Wrong!’ and charge was Steve Forbes. With his free-lunch, tax-cutting flat tax, he declared the balanced budget, the centrepiece of the Republican revolution, unnecessary. Then, no sooner had the Forbes mutiny been put down then Pat Buchanan declared a general insurrection. He too declared war on the party’s central ideology in the name not supply side theory but of class welfare, the Democratic weapon of choice against Republicanism. The enemy, according to Buchanan, is not the welfare state. It is that conservative icon, capitalism, with its ruthless captains of industry, greedy financiers and political elite (Republicans included, of course). All three groups collaborate to let foreigners — immigrants, traders, parasitic foreign-aid loafers — destroy the good life of the ordinary American worker. Buchananism holds that what is killing the little guy in America is the Big Guy, not Big Government. It blames not an overreaching government that tries to insulate citizens from life’s buffeting to the point where it creates deeply destructive dependency, but an uncaring government that does not protect its victim-people enough from that buffeting. Buchanan would protect and wield a mighty government apparatus to do so, government that builds trade walls and immigrant — repelling fences, that imposes punitive taxes on imports, that policies the hiring and firing practices of business with the arrogance of the most zealous affirmative action enforcer. This is Reaganism standing on its head. Republicans have focused too much on the mere technical dangers posed by this assault. Yes, it gives ammunition to the Democrats. Yes, it puts the eventual nominee through a bruising campaign and delivers him tarnished and drained into the ring against Bill Clinton. But the real danger is philosophical, not tactical. It is axioms, not just policies, that are under fire. The Republican idea of smaller government is being proud to dust — by Republicans. In the middle of an election year, when they should be honing their themes against Democratic liberalism, Buchanan’s rise is forcing a pointless rearguard battle against a philosophical corpse, the obsolete Palaeo conservatism — a mix of nativism, protectionism and isolationism of the 1930s. As the candidates’ debate in Arizona last week showed, the entire primary campaign will be fought on Buchanan’s grounds, fending off his Smoot-Hawley-Franco populism. And then what? After the convention, what does the nominee do? Try to resurrect the anti-welfare state themes of the historically successful 1994 congressional campaign? Well, yes, but with a terrible loss of energy and focus — and support. Buchanan’s constituency, by then convinced by their leader that the working man’s issues have been pushed aside, may simply walk on election day or, even worse, defect to the Democrats. After all, Democrats fight class war very well. Political parties can survive bruising primary battles. They cannot survive ideological meltdown. Dole and Buchanan say they are fighting for the heart and soul of the Republican Party, heart and soul, however, will get you nowhere when you’ve lost your way — and your mind. 101. Which broad ideology helped Newt Gingrich lead the Republican revolution of 1994? 102. Assuming the passage to be truthful, what does a party not need to win elections? 103. Which of the following is not a Republican? (a) of the shutdown of the government. (b) the balanced budget plan failed. (c) Steve Forbes led a revolution. (d) Bill Clinton pre-empted them. 105. Which of the following would be a suitable title for the passage? (c) Republicans — Are You Crazy? (d) Mutinies on the Republican Party. 107. What, according to the author, is the real danger for Republicans? (a) The fact that small government is being ground to dust. (b) The fact that Bill Clinton is gaining popularity. (c) The fact that it is axioms, and not just policies that are under fire. (d) The fact that the eventual nominee would be too tired to fight an election against Clinton. 108. Which of the following, according to Buchanan, is not an enemy? Icicles — two metres long and, at their tips, as bright and sharp as needles — hang from the caves: wild ice stalactites, dragon’s teeth. I peer through them to see the world transformed to abstract. Little snow tornadoes twirl across the blank. The car is out there somewhere, represented by a subtle bump in the snow-field. The old geep truck, a larger beast, is up to its door handles, like a sinking remnant: dinosaur yielding to ice age. The town’s behemoth snow-plow passes on the road, dome light twirling, and casts aside a frozen doe that now lies, neck broken, upon the roadside snow-bank, soon to vanish under the snowfall still to come. There is double-jointed consciousness at work in the dramatics of big weather. Down in the snowstorm, we are as mortal as the deer. I sink to my waist in a drift; I panic, my arms claw for an instant, like a drowning swimmer’s, in the powder. Men up and down the storm collapse with coronaries, snow shovels in their hands, cheeks turned into a deathly colour, like frost-bitten plums. Yet when we go upstairs to consult the Weather Channel, we settle down, as cosy gods do, to hover high above the earth and watch the play with a divine perspective. Moist air labelled L for low rides up the continent from the Gulf of Mexico and collides with the high that has slid down from the North Pole. And thus is whipped up the egg-white fluff on the studio map that, down in the frozen, messy world, buries mortals. An odd new metaphysics of weather: It is not that weather has necessarily grown more apocalyptic. The famous ‘Winter of the Blue Snow’ of 1886-87 turned rivers of the American West into glaciers that when they thawed, carried along inundation of dead cattle. President Theodore Roosevelt was virtually ruined as a rancher by the weather that destroyed 65 per cent of his herd. In 1811 Mississippi river flowed briefly because of the New Madrid earthquake. What’s new in America is the theatre of it. Television does not create weather; any more than it creates contemporary politics. However, the ritual ceremonies of televised weather have endowed a subject often previously banal with an amazing life as mass entertainment, nationwide interactive preoccupation and a kind of immense performance art. What we have is weather as electronic American Shintoism, a casual but almost mystic daily religion, wherein nature is not inert but restless, stirring alive with kinetic fronts and meanings and turbulent expectations (forecasts, variables, prophecies). We have installed an elaborate priesthood and technology of interpretation: acolytes and satellites preside over snow and circuses. At least major snowstorms have about them an innocence and moral neutrality that is more refreshing than the last national television spectacle, the O. J. Simpson trial. One attraction is the fact that these large gestures of nature are political. The weather in the mirabilis mode can, of course, be dragged onto the opened page to start a macro-argument about global warning or a micro- spat over a mayor’s fecklessness in deploying snowplows. Otherwise, traumas of weather do not admit of political interpretation. The snow Shinto reintroduces an element of what is almost charmingly uncontrollable in life. And, as shown last week, surprising, even as the priests predict it. This is welcome — a kind of ideological relief- in a rather stupidly politicised society living under the delusion that everything in life (and death) is arguable, political and therefore manipulable — from diet to DNA. None of the old earthbound Marxist Who- Whom here in meteorology, but rather sky gods that bang around at higher altitudes and leave the earth in its misery, to submit to the sloppy collateral damage. The moral difference of weather, even when destructive, is somehow stimulating. Why? The sheer levelling force is pleasing. It overrides routine and organises people into a shared moment that will become a punctuating memory in their lives (‘Lord, remember the blizzard in 1996?’). Or perhaps one’s reaction is no more complicated than a child’s delight in dramatic disruption. Anyone loves to stand on the beach with a hurricane coming — a darkly lashing Byronism in surf and wind gets the blood up. The God’s, or child’s, part of the mind welcomes big weather — floods and blizzards. The coping, grown-up human part curses it, and sinks. The paradox of big weather, it makes people feel important even while it, dramatises their insignificance. In some ways, extreme weather is a brief moral equivalent of war — as stimulating as war can sometimes be, through without most of the carnage. The sun rises upon diamond-scattered snow-fields and glistens upon the lucent dragon’s teeth. In the distance, three deer, roused from their shelter under pines, venture forth. They struggle and plunge undulously through the opulent white. Upstairs, I switch on the Shinto Weather Channel and the priests at the map show me the next wave — white swirls and eddies over Indiana, heading ominously east. 109. How many vehicles does the author mention in the passage? 111. Which of the following was not the result of the ‘Winter of Blue Snow’? (a) it shows no mercy. (b) it organises people into a shared moment. 115. What is most probably the physical position of the author of the passage? 116. Which of the following is not true of the weather? Among those who call themselves socialists, two kinds of persons may be distinguished. There are, in the first place, those whose plans for a new order of society, in which private property and individual competition are to be superseded and other motives to action substituted, are on the scale of a village community or township, and would be applied to an entire country by the multiplication of such self-acting units; of this character are the systems of Owen, of Fourier, and the more thoughtful and philosophic socialists generally. The other class, which is more a product of the continent than of Great Britain and may be called the revolutionary socialists, has people who propose to themselves a much bolder stroke. Their scheme is the management of the whole productive resources of the country by one central authority, the general government. And with this view some of them avow as their purpose that the working classes, or somebody on their behalf, should take possession of all the property of the country, and administer it for the general benefit. Whatever may be the difficulties of the first of these two forms of socialism, the second must evidently involve the same difficulties and many more. The former, too, has the great advantage that it can be brought into operation progressively, and can prove its capabilities by trial. It can be tried first on a select population and extended to others as their education and cultivation permit. It need not, and in the natural order of things would not, become an engine of subversion until it had shown itself capable of being also a means of reconstruction. It is not so with the other; the aim of that is to substitute the new rule for the old at a single stroke, and to exchange the amount of good realised under the present system, and its large possibilities of improvement, for a plunge without any preparation into the most extreme form of the problem of carrying on the whole round of the operations of social life without the motive power which has always hitherto worked the social machinery. It must be acknowledged that those who would play this game on the strength of their own private opinion, unconfirmed as yet by any experimental verification — who would forcibly deprive all who have now a comfortable physical existence of their only present means of preserving it, and would brave the frightful bloodshed and misery that would ensue if the attempt was resisted — must have a serene confidence in their own wisdom on the one hand and the recklessness of other people’s sufferings on the other, which Robespierre and St. Just, hitherto the typical instances of those united attributes, scarcely came up to. Nevertheless this scheme has great elements of popularity which the more cautious and reasonable form of socialism has not; because what it professes to do, it promises to do quickly, and holds out hope to the enthusiastic of seeing the whole of their aspirations realised in their own time and at a blow. 118. Who among of the following is not a socialist? 119. Which of the following, according to the author, is true? (a) The second form of socialism has more difficulties than the first. (b) The second form of socialism has the same difficulties as the first. (c) The second form of socialism has less difficulties than the first. (d) The author has not compared the difficulties of the two. (a) one consists of thinkers and the others are active people. (b) the first have a definite philosophy and the second don’t have any definite philosophy. (c) the first believe in gradual change while the others believe in revolutionary change. (d) the first are the products of Britain, while the others are products of Russia. 121. Which of the following were characteristics of St. Just and Robespierre? 122. Which of the following according to the author, may not be the result of not verifying the desirability of socialism experimentally first? (a) the government takes over the villages first, and then gradually the whole country. (b) the government takes over all productive resources of the country at one stroke. (c) the government declares a police state and rules by decree. (d) there is no government as such: the people rule themselves by the socialist doctrine. (b) the side of the socialist doctrine. (c) the second type of socialism. (d) the first type of socialism. Whatever philosophy may be, it is in the world and must relate to it. It breaks through the shell of the world in order to move into the infinite. But it turns back in order to find in the finite its always unique historical foundation. It pushes into the furthest horizons beyond being-in-the-world in order to experience the present in the eternal. But even the profoundest meditation acquires its meaning by relating back to man’s existence here and now. Philosophy glimpses the highest criteria, the starry heaven of the possible, and seeks in the light of the seemingly impossible the way to man’s dignity in the phenomenon of his empirical existence. Philosophy addresses itself to individuals. It creates a free community of those who rely on each other in their will for truth. Into this community the philosophic man would like to enter. It is there in the world all the time, but cannot become a worldly institution without losing freedom of its truth. He cannot know whether he belongs to it. No authority decides on his acceptance. He wants to live in his thinking in such a way as to make his acceptance possible. But how does the world relate to philosophy? There are chairs of philosophy at the universities. Nowadays they are an embarrassment. Philosophy is politely respected because of tradition, but despised in secret. The general opinion is: it has nothing of importance to say. Neither has it any practical value. It is named in public but does it really exist? Its existence is proved at least by the defence measures it provokes. We can see this in the form of comments like: Philosophy is too complicated. I don’t understand it. It’s beyond me. It’s something for professionals. I have no gift for it. Therefore it doesn’t concern me. But that is like saying : I don’t need to bother work or scholarship without thinking or questioning its meaning, and, for the rest, have ‘opinions’ and be content with that. The defence becomes fanatical. A benighted vital instinct hates philosophy. It is dangerous. If I understood it I would have to change my life. I would find myself in another frame of mind, see everything in a different light, have to judge anew. Better now think philosophically! Then come the accusers, who want to replace the obsolete philosophy by something new and totally different. It is mistrusted as the utterly mendacious end product of a bankrupt theology. The meaninglessness of philosophical propositions is made fun of. Philosophy is denounced as the willing handmaiden of political and other powers. For many politicians, their wretched trade would be easier if philosophy did not exist at all. Masses and functionaries are easier to manipulate when they do not think but only have a regimented intelligence. People must be prevented from becoming serious. Therefore, it is better for philosophy to be boring. Let the chairs of philosophy rot. The more piffle is taught, the sooner people will be blinkered against the light of philosophy. Thus philosophy is surrounded by enemies, most of whom are not conscious of being such. Bourgeois complacency, conventionality, the satisfactions of economic prosperity, the appreciation of science only for its technical achievements, the absolute will to power, the bonhomie of politicians, the fanaticism of ideologies, the literary self-assertiveness of talented writers — in all these things people parade their anti-philosophy. They do not notice it because they do not realise what they are doing. They are unaware that their anti-philosophy is in itself a philosophy, but a perverted one, and that this anti-philosophy, if elucidated, would annihilate itself. 127. Which of the following is true, keeping the passage in mind? 128. Which of the following is not a charge against philosophy? 129. Which of the following is not mentioned as a function of philosophy in the passage? (a) It shows the way to man’s dignity in the face of his empirical existence. (b) It breaks through the shell of the world in order to move into the infinite. (c) It pushes into the furthest horizons beyond being in the world. (d) It makes the world a better place to live in. 130. Why according to the passage, would the politicians be happy if philosophy did not exist? (a) Masses would be easier to manipulate as they would not think for themselves. (b) They would not have to make false allegiances to ideologies. (c) They would not have to face allegations of ignoring philosophy. (d) They would not have to be philosophical about losing an election. (c) separate chairs for philosophers. (d) reserved seats for students of philosophy. (a) the fact that there are still chairs of philosophy in universities. (b) the defence measures it provokes. (c) the polite respect it gets. (d) the fact that it answers the fundamental questions of life. Even if we’re a bit snooty about them, we should go down on our knees and thank heaven for movies like Jurassic Park and directors like Steven Spielberg who make them. They fill the cinemas, if only because the hype is virtually irresistible. And because they do so, hundreds of maniacs all over the world continue to finance films. But is this is an example of a worldwide jackpot movie? Yes and no. Yes, because it delivers dinosaurs by the dozen, in as weird a fashion as have been seen on the screen before. And no, because the accompanying story, courtesy Michael Crichton, has little of the real imagination that made Spielberg’s ET and Close Encounters into the jackpot movies of their time. Technically, it works like a dream but, as a cinematic dream, it’s unmemorable. This may be because of its cardboard human characters, dwarfed by the assemblage of their prehistoric ancestors and serviced by a screenplay that makes the abortive mating calls of this weirdly asexual zoo seem eloquent in comparison. What kind of park is this?, enquiries Sam Neil. “Oh, it’s right up your alley”, says Richard Attenborough. More likely, though it has something to do with the development of the story which at no point engages us properly on the human level, except perhaps to hope that the kids and Neil’s grumpy scientist who learns to love them will finally escape from the grasp of the velociraptors chasing them. We’re looking at nothing but stunts, and they get tiresome laid end to end. Crichton’s book was scarcely much better but at least it had a convincing villain in John Hammond, Jurassic Park’s billionaire developer, whereas Attenborough’s approximation seems merely enthusiastically misguided. And Crichton’s warning of what might happen if we muck about with nature becomes weaker in the film. What we actually have in Jurassic Park is a non-animated Disney epic with affiliations to Jaws which seems to amuse and frighten but succeeds in doing neither well enough to count. Its real interest lies in how Spielberg’s obsession with childhood now manifests itself in his middle age. It looks like being on automatic pilot — gestural rather than totally convinced but determined to remain the subject of analytical study. The whole thing, of course, is perfectly adequate fun once the ludicrously simplistic explanation of DNA has been traversed in Hammond’s costly futuristic, computerised den. Even I could understand it. Thereafter, the theme park’s creaky inability to deal with an ordinary old typhoon as its VIPs travel around hoping the investment will work, leads to predictable disasters, proficiently worked out but never truly frightening. But then this is a film for children of all ages, except perhaps those under 12, and one shouldn’t expect sophistication on other than the technological level. Jurassic Park is more of a roller-coaster ride than a piece of real cinema. It delivers, but only on a certain plane. Even the breaking of the barriers between our civilization and a monstrous past doesn’t have the kick it could have had. Possibly one is asking for a different film which in the end would not have appealed across the box-office spectrum as well as this obviously does. But still one leaves it vaguely disappointed. All that work and just a mouse that roars. It’s wonderful story, but told with more efficiency than inspiration — possibly a sign of the times, along with the merchandising spree which follows it so readily. 133. Which of the following has not been mentioned as a Steven Spielberg movie in the passage? 134. In which way does the author find the film inferior to the original book? (a) The book is more interesting. (b) The book had a more convincing villain. (c) The book is easier to understand. (d) The story had a good author but a bad director. (b) a film critic’s comments. 137. Which of the following does the author say of the film? (a) The film is technically inferior and does not have a good storyline. (b) The film is technically inferior but has a good storyline. (c) The film is technically slick but does not have a good storyline. (d) The film is technically slick and has a good storyline. 139. Why according to the author, should we thank heaven for movies like Jurassic Park, even though they may not be very good aesthetically? (a) Because they fill the halls, and thus people will finance more films. (b) Because it is one of the major hits of the year. (c) Because the film has brilliant technical wizardry. (d) Because of the hundreds of films being produced, this is one of the few excellent ones. The opinion polls had been wrong. Although they were signalling a weakening in Labour’s lead in the days before the general election — which pointed to a hung parliament — many working-class voters had been embarrassed to tell middle-class pollsters that they were intending to vote Labour. The final result on April 9, 1992, which gave Neil Kinnock a working majority of 30, was a turnaround of the century. As John Major cleared his desk in Downing Street, pundit after pundit lined up to criticise his lacklustre campaign. The trouble was, they all agreed, that the Conservative Party no longer had a message or political purpose. Its representation in the north of England was decimated; its future as a national party doubtful. For Kinnock the victory was a sweet reward for nine years of Herculean labour in making his party electable. Not only had he a working majority, but the divisions in Conservative ranks — between anti-Europeans, free marketers and moderates — threatened to split the party. Having set himself the objective of heading a two or three term government, Kinnock made his cabinet appointments with the long haul in mind. There were few surprises. John Smith, with whom he coexisted uneasily, was made chancellor; Roy Hattersley became home secretary; Gerald Kaufmann went to the foreign office; inveterate Euro-sceptic Bryan Gould took over environment; and Gordon Brown went to trade. It was, as many commentators conceded, a much more heavyweight cabinet than any of the Conservatives could have mustered. But the new cabinet was to have its first trial of strength very soon. The problem was the foreign exchange markets. Although both Kinnock and Smith had, throughout, the election campaign, reaffirmed their commitment to hold the pound’s parity at 2.95DM inside the ERM, the foreign exchange markets simply did not believe them. Every previous Labour government had devalued; what reason was there to suppose this one would be different? The pressure built up immediately. On Friday, April 10, the Bank of England managed to hold the line only by spending £4 billion — around a sixth of its total reserves — to support the exchange rate. But late that night, as the New York markets closed, the Governor of the Bank of England led the deputation to a meeting at 11, Downing Street with Smith and the permanent secretary to the Treasury, Sir Terence Burns. If, said the governor, the pound was to survive the coming week inside the ERM, then Smith would have to demonstrate his resolve by raising interest rates — by at least 2 per cent. It would also help, added the officials, if the government were to commit Britain to full monetary union and to meet the Maastricht criteria for a single currency. This would mean that both the taxation from Smith’s first budget would have to be used to reduce government borrowing and the manifesto promises to raise child benefit and pensions be postponed. Smith listened to Eddie George — number two at the Bank of England and the arbiter of British exchange rate policy — explain that, at the current rate of reserve loss, Britain’s reserves would have run out by the following weekend. The markets needed decisive action. And they needed to know, by the night of Sunday, April 12, at the very latest, what the government would do when the far-eastern markets opened after the weekend. Sir Terence advised that once the markets recognised the government was resolved to hold the exchange rate, pressure would quickly subside and the interest rate increases could be reversed. The name of the game was earning credibility. Although Smith had been warned to expect a Treasury/Bank of England move to assert the cannons of economic orthodoxy, he had hoped to have been more than a few hours into his chancellorship before the pressures started to mount. As it stood, he felt like the victim of a coup and wondered to what extent the foreign exchange market selling had been prompted by the Bank of England’s ham fisted intervention — almost designed to manufacture a run on the pound. In any case, he could do nothing without conferring with the prime minister. In fact Kinnock had asked Smith to have the preliminary Bank of England meeting without him. Although he was not at one with his chancellor over economic policy and distrusted his judgement, he wanted to complete his cabinet appointments — and confer with his own advisers about how to react to what he knew the bank and treasury recommendations would be. He was determined to avoid being bounced into decisions before he had decided his line. The alternative was to apply to the EC for a realignment conference, in which many more currencies would be devalued. But that could hardly be done then; it would have to wait until the following weekend. And it was not clear if the pound would be devalued sufficiently, or if other countries would follow the British lead. Not only might Britain have to devalue alone, it might not secure a devaluation large enough to make a difference; and be accompanied by higher interest rates. 143. What was the main problem facing the new cabinet? (a) The dissension in the ranks of the party. (b) The devaluation of the currency. (c) The foreign exchange market problem. (d) The monetary union problem. 144. Who, according to the passage, is the leader of the Labour Party? 145. What, according to the treasury secretary, was the only way out of the exchange problem? (a) the Bank of England would go along with whatever the government decided. (b) the prime minister was a puppet in the hands of the Bank of England. (c) the Bank of England was completely independent of the government. (d) the Bank of England could put enormous pressure on the government to formulate policy. 147. Why did Kinnock ask Smith to attend the Bank of England meeting without him? (a) Because he did not get along with Smith. (b) Because he wanted to use that time to confer with others. (c) Because he already met them and did not want to meet them again. (d) Because he was afraid of being censured by them. 148. Why, according to the author, was the realignment conference not a viable option for the government? (a) Because other countries may not follow the British lead in devaluation. (b) Because the higher interest rates to be given by Britain may deplete resources further. 149. Which of the following do not belong to the Labour cabinet? 150. What, according to the passage, was not a reason for the defeat of the Conservative Party? Direction for questions 151 to 155: Answer the questions based on the following information. Ghosh Babu surveyed his companies and obtained the following data. Income tax is paid from profit before tax and the remaining amount is apportioned to dividend and retained earnings. The retained earnings were accumulated into reserves. The reserves at the beginning of 1991 were Rs. 80 lakh. 151. In which year was the tax per rupee of ‘profit before tax’ lowest? 152. In which year was the sales per rupee of share capital highest? 153. In which year the profit before tax per rupee of sales was the highest? 154. In which year was the percentage addition to reserves over previous years reserves the highest? Direction for questions 156 to 160: Answer the questions based on the following table. 158. The market shares of which products did not decreased between 1993-94 in any city? Direction for questions 161 to 165: Answer the questions based on the following pie charts. Direction for questions 166 to 170: Answer the questions based on the following graph. 166. In which year was the trade deficit highest? 167. In how many years was the trade deficit less than the trade deficit in the succeeding year? 168. Export earning in 1990-91 is how many per cent of imports in 1991-92? 169. In the last three years the total export earnings have accounted for how many per cent of the value of the imports? 170. Which of the following statements can be inferred from the graph? I. 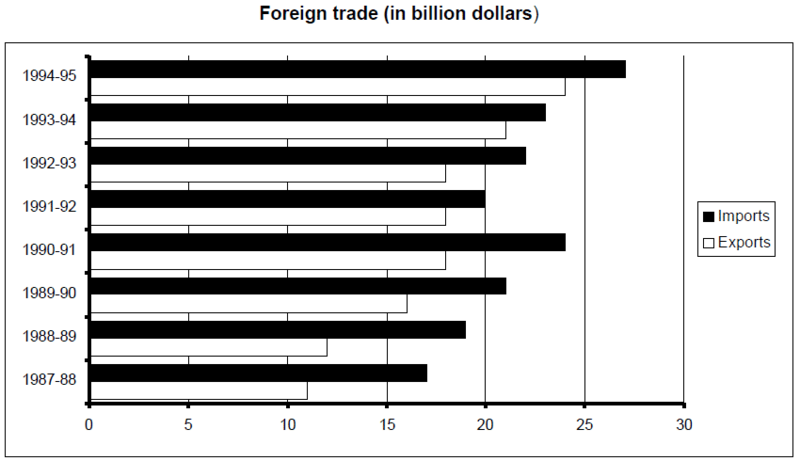 In all the years shown in the graph, the trade deficit is less than the export earning. II. Export earnings increased in every year between 1989-90 and 1991-92. III. In all the years shown in the graph, the earning by exports is less than the expenditure on imports in the preceding year. Direction for questions 171 to 175: Answer the questions based on the following graph. Revenue obtained by a publishing house while selling books, magazines and journals (Rs. in lakh). 171. Which year shows the highest change in revenue obtained from journals? 172. In 1992, what per cent of the total revenue came from books? Direction for questions 176 to 180: Answer the questions based on the following table. Machine M1 as well as machine M2 can independently produce either product P or product Q. The time taken by machines M1 and M2 (in minutes) to produce one unit of product P and product Q are given in the table below: (Each machine works 8 hour per day). 176. What is the maximum number of units that can be manufactured in one day? 177. If M1 works at half its normal efficiency, what is the maximum number of units produced, if at least one unit of each must be produced? 178. What is the least number of machine hours required to produce 30 pieces of P and 25 pieces of Q respectively? 179. If the number of units of P is to be three times that of Q, what is the maximum idle time to maximize total units manufactured? Direction for questions 181 to 185: Answer the questions based on the following information. 3. The percentage distribution of dye quality in each type of shirt. 181. What is the total requirement of cloth? 182. How many metres of low-quality cloth is consumed? 183. How many metres of high quality cloth is consumed by A-type shirts? 184. What is the ratio of the three qualities of dyes in high-quality cloth? 185. What is the ratio of low-quality dye used for C-type shirts to that used for D- type shirts?